Give each student a plain black cat and 20 cents. to decorate their cats. No two cats will look alike! Here is another shopping activity. Give each chile a green square face and 10 cents. They buy the pieces to create their own monster. 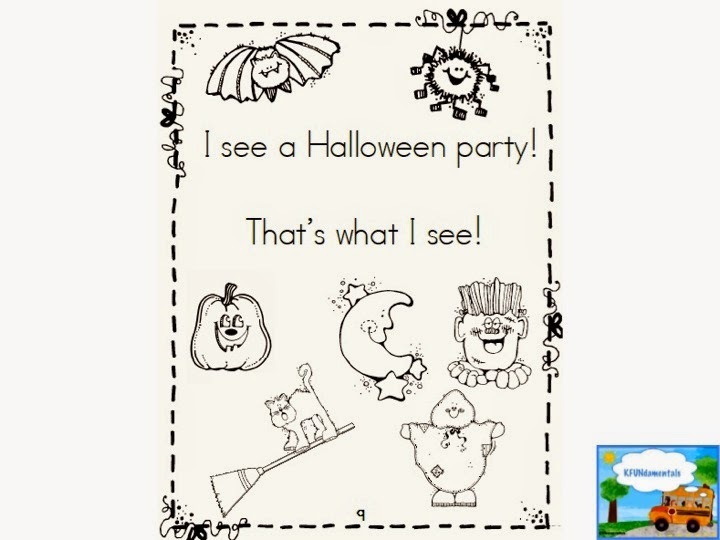 You can find out all about this fun shopping activity by clicking RIGHT HERE. You can grab my shopping receipt templates by clicking HERE. 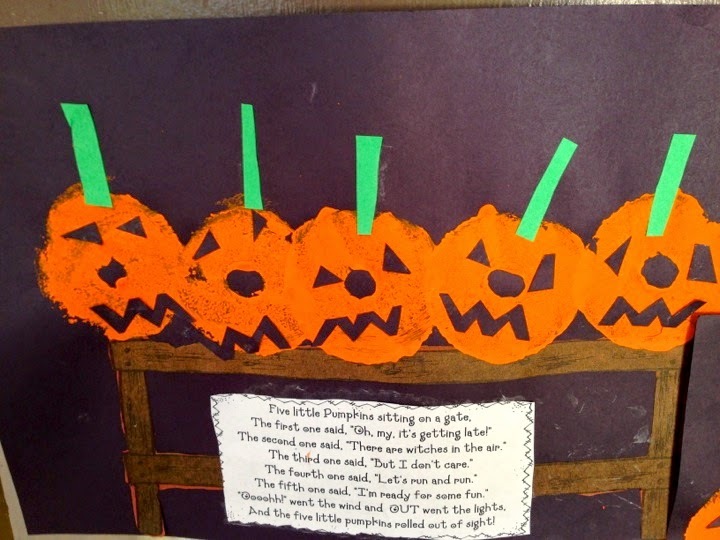 Use a slice of a pool noodle to create these 5 Little Pumpkins and teach ordinal numbers. Find out how to make these cute little pumpkins by clicking HERE. 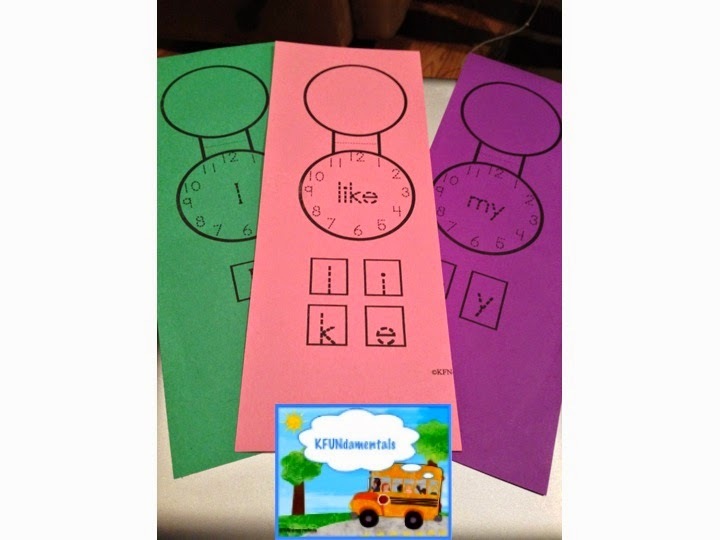 Practicing color sight words has never been so much fun and your students can make an easy reading book to take home and share with their families. This is a color version of the black line book cover. I usually complete one page a day with my students in a whole group setting. 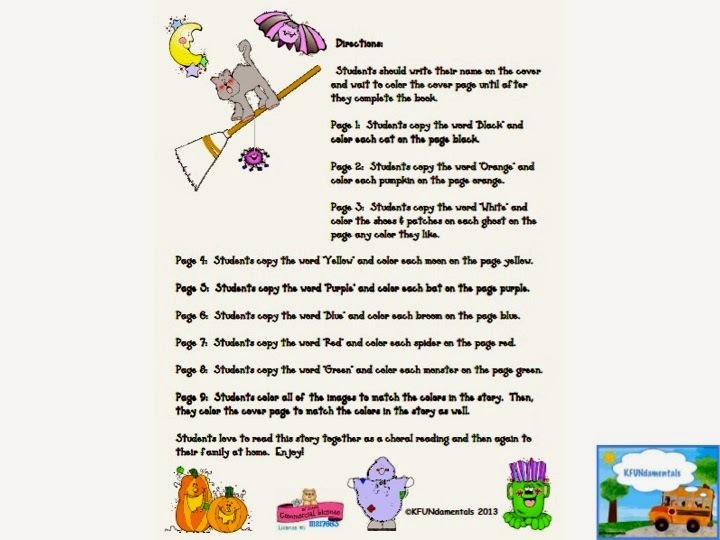 The book contains 9 pages plus the cover, so we complete it over two weeks, but you can also complete several pages at one time in a small group setting. 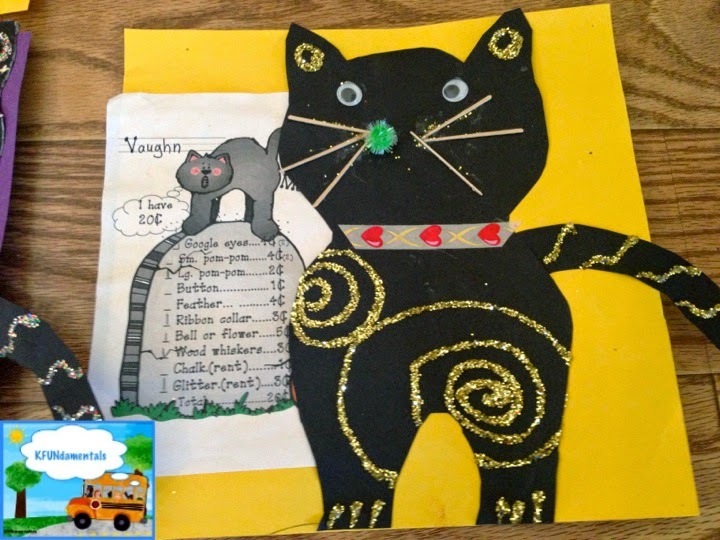 One the first page, the students copy the sight word "Black" and color the cat black. 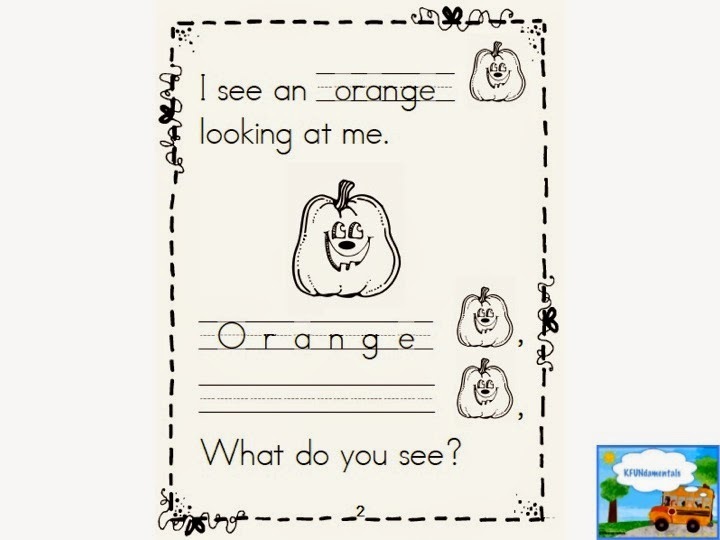 On the next page, they copy the sight word "Orange" and color the pumpkins orange. 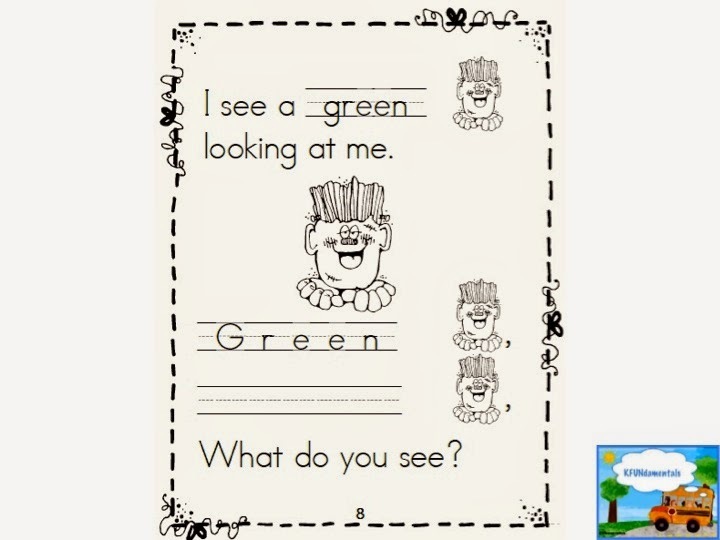 This is my favorite page: I see a green monster looking at me! They continue in this manner until all of the characters end up at a Halloween party. 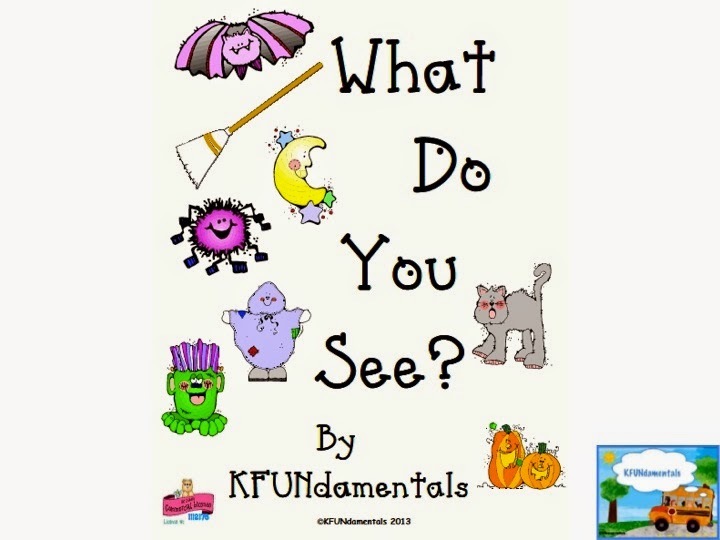 You can grab this book by clicking RIGHT HERE. Have You Seen My Pocket Lockets? First, they trace the letters and numbers. Next, they cut out the pocket-locket. 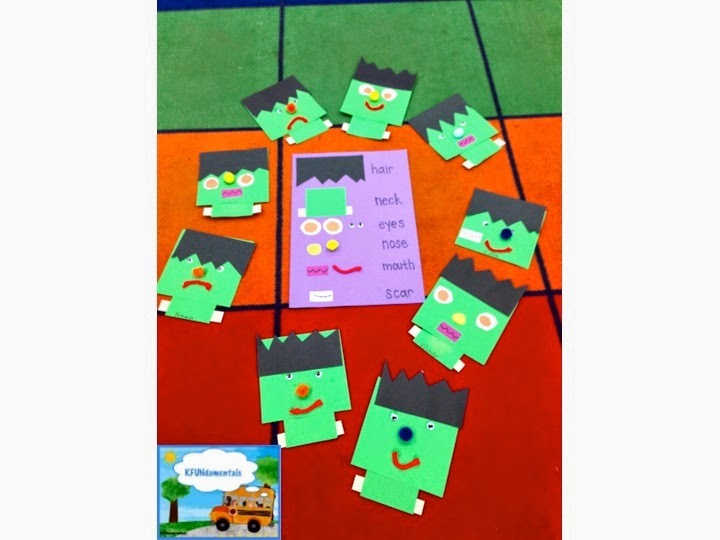 Then, they cut out the individual letters of the sight word. Next, they glue on the letters on in the correct order. Last, they add a piece of yarn. They can wear it in their pockets as a pocket watch or around their necks as a locket. 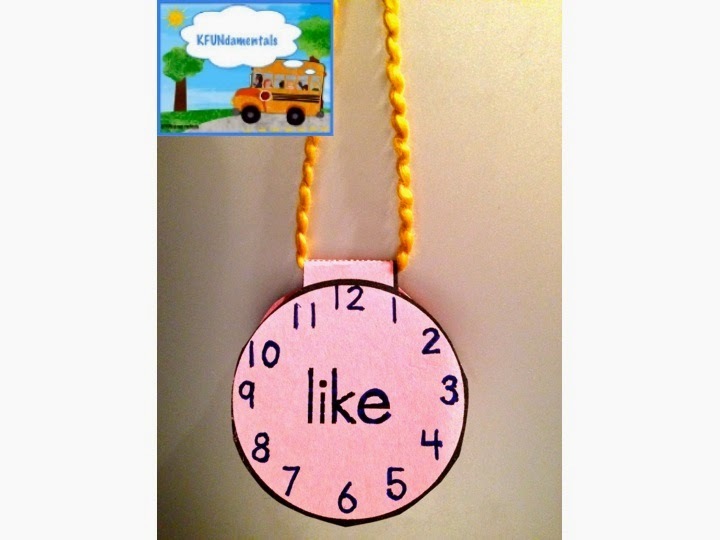 pocket-locket so you can add more sight words. You can grab two FREE Pocket Lockets by clicking RIGHT HERE. Grab the entire set by clicking HERE. 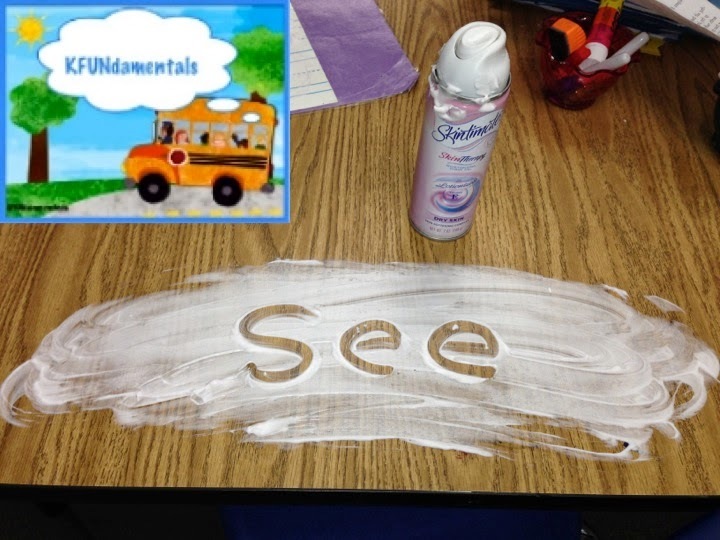 Shaving cream creates the perfect surface for writing sight words. And when you're all done, just clean it up and your desks are nice and clean!